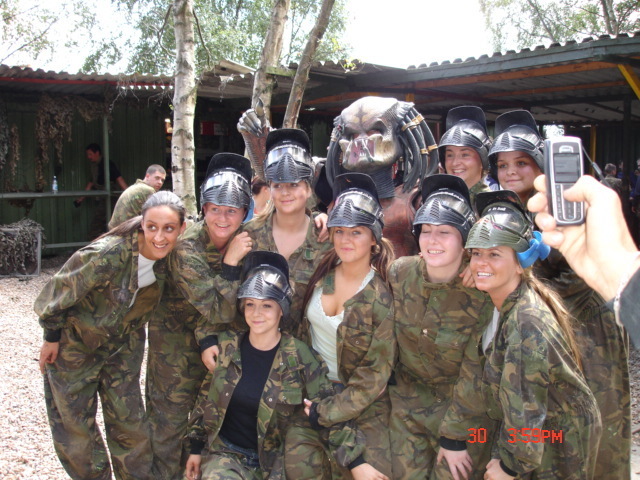 £28.00 ​​ and 100 free paintballing 400 paintball iStarts at 9.am. Includes standard paintball gun, mask, full cammo cover-alls and 100 free paintballs. All our Players must arrive aby 9 am. Extra paintballs can be purchased on the day at £7 per 100 or £28 for 500. Typical day's usage is between 400 - 600. You have to be over 14 to play ​must have an adult who can stay within the paintball site while you play. Parents/Guardians do not have to participate in the paintballing games, just be within the paintball site.